A union has organised a strike ballot over an "outrageous" pay cut for university student support workers. Unison said the staff at the University of Southampton would lose up to a fifth of their take home pay because of cuts to night-time allowances. It said the reduction would amount to around £6,000 before tax for the average worker. The university said the 42 affected staff would receive a "compensatory payment". Unison said the staff, who worked permanent evening or night shifts in halls of residence, could not afford cuts to their gross pay of between 18% and 20%. The union's regional head of higher education, Mike Wilson, said: "For an employer that pays around £400,000 per year to its vice-chancellor, these imposed pay cuts on hard-working, low-paid staff are an insult." He said the university had deemed the workers "too expensive", even though it had recently made £300m from a bond issue on the London Stock Exchange. 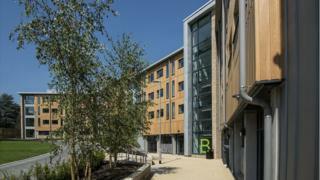 In a statement, the university said the allowances were "out-of-line" with its other staff who worked unsociable hours. It said it was creating a new student support team "moving to halls-based pastoral care... 24 hours a day, seven days a week - with a great emphasis on proactive and preventative work". The strike ballot will close on 7 June.